We all have heard a fair bit of controversy swirling around the Affordable Care Act – sometimes called ObamaCare, but what you should know If you are a caregiver to a Medicare-qualified adult is what services now are free as a part of some of the provisions of ACA. The Act has a number of initiatives that aim at improving the efficiency and reducing the cost of health care in America. One way ACA hopes to do that is to help prevent or detect early some of the more costly or more common illnesses among older adults. · Wellness visits – One wellness visit to a provider when you first enroll in Medicare and one every year after that. · Colorectal Cancer Screening – For everyone 50 years or older. · Mammograms – For all women 40 and older on an annual basis. · Pap Smears and Pelvic Exams – Biannually for all and annually for high risk women. · Prostate Cancer Screening – PSA tests for all men over age 40. · Cardiovascular Screening – Full screen cholesterol blood tests annually. 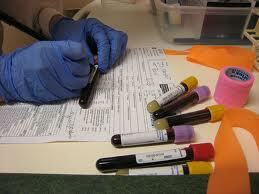 · Diabetes Screening – Twice a year testing for all beneficiaries at risk. · Abdominal Aortic Aneurysm Screening – For men 65 to 75 who have been smokers and are therefore at risk. · Vaccinations – Includes, flu, pneumonia and hepatitis B. · Other Screenings – For depression, HIV and sexually-transmitted diseases.